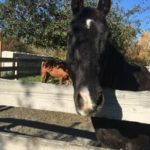 Valencia and her friend Ru belonged to an elderly man who was facing severe medical problems and was no longer able to care for them. 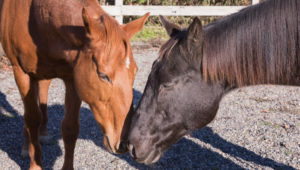 The two horses were very bonded when they arrived at Safe Harbor so they had to be eased away from their dependence on one another and learn to make new friends. Valencia was restarted at SAFE in November 2017 and did well under saddle. 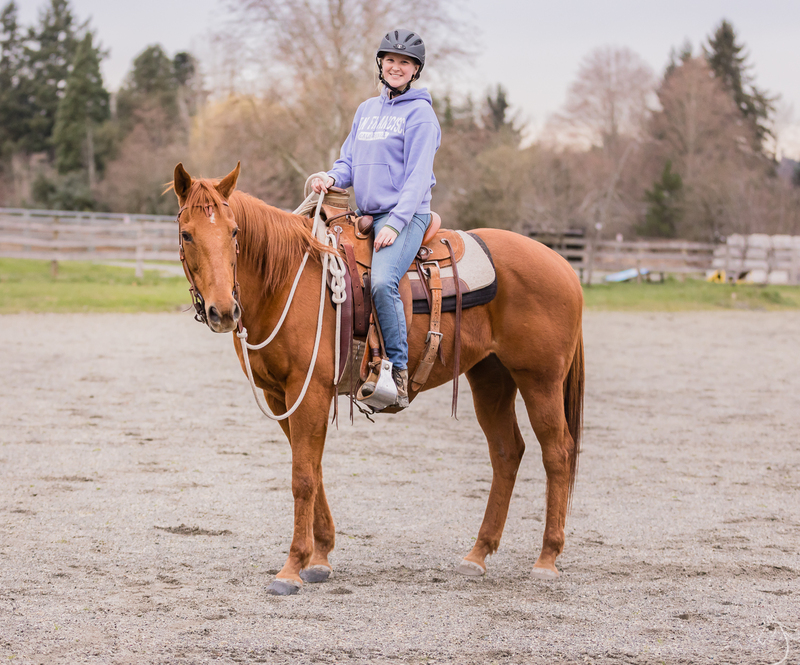 Valencia was adopted in the spring of 2018 and found a new home in a lovely brand new barn with a person of her own. 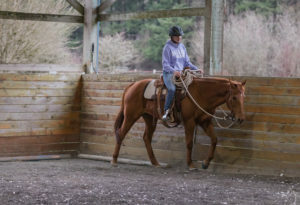 Valencia’s adoption got off to a great start when her new owner, Karen K, took her in the Joel Conner clinic in order to better understand the language of horsemanship that Valencia is familiar with. 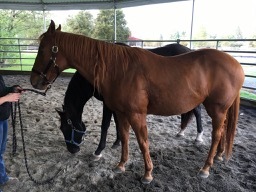 The two did quite well together, and plan to continue this work once Valencia arrives at her new home. 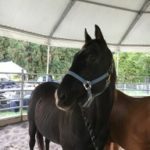 Valencia is one of the most kind and gentle horses we currently have at SAFE. 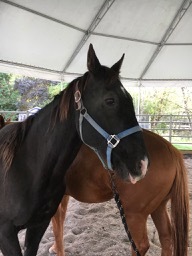 She loves getting groomed and spending time with people and other horses. 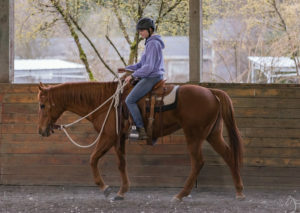 She was recently restarted at SAFE after having quite a few years off due to an aging owner. 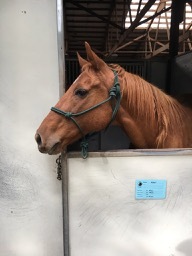 She was a quiet restart, and she now goes forward without hesitation and shows no bad behavior while being worked. 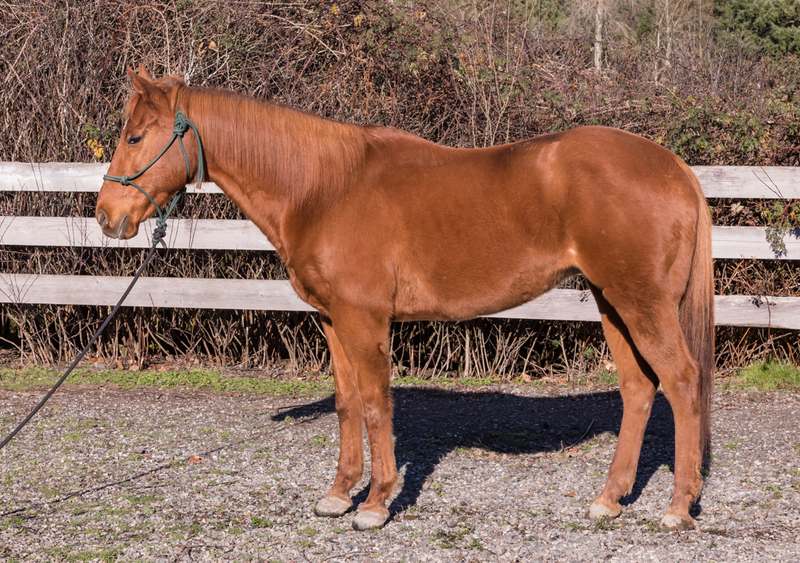 We continue to help strengthen her topline and hindquarters. 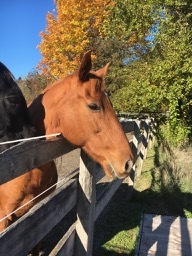 She has done well leading on walks around our property and will soon be out on the trails. She is currently wearing front shoes and may require them for ongoing riding comfort. 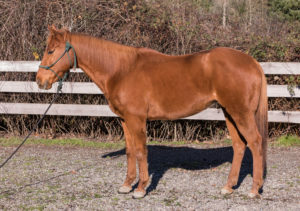 She is sound, sweet and ready to meet her forever family! The more time I spend with Ruach and Valencia the more I fall in love with them. 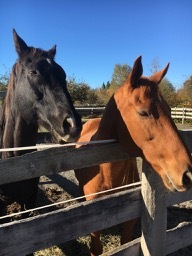 Both are probably two of the sweetest horses to be around. 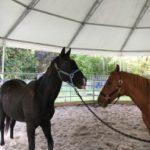 When in the round pen grooming and getting them ready to ride they are kind, gentle and very “in your pocket” type horse. 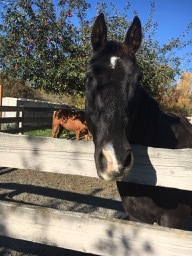 Ru is always the first to come up to greet you and wants attention. 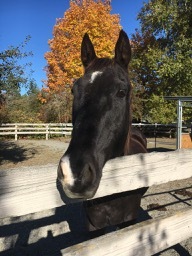 He is a big sweet goofball! 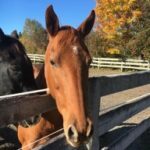 He is gelding through and through and wants to see if you might like to play little nibble games with him. While it make me laugh because he is just so adorable about it, I have to tell him no and set boundaries so things don’t get out of hand. The play comes from a genuine big heart that just needs to learn how to interact with people. I don’t think this boy has a mean bone in his body! We have been working on his crowding people’s space and he is starting to tune into his handlers much more. He still requires someone to set boundaries but now that he knows what those are it is easy to interact with him. 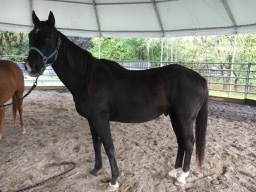 He is full of life at 19 and due to some of his misguided energies at this time he will need someone with at least a good basic set of handling skills. Once he respects you, he is like a big over grown black lab… a heart of gold with a ton of playful energy! 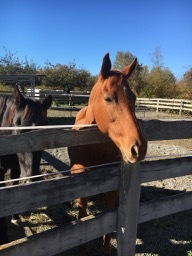 Between the two horses, Ru has had the most difficulties with his herd bound issues. If Valencia is taken away Ru gets very upset and agitated. We started off very slow transitioning from 24/7 pasture mates to keeping them in stalls across from each other and in turnout during the days together. Surprisingly as long as they could see each other Ru was OK. 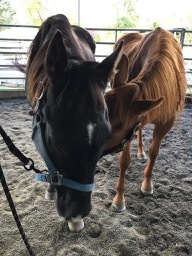 I have been able to take Valencia into the arena way from Ru while he is eating dinner and while he will call to her, he has settled down more and more with each session. 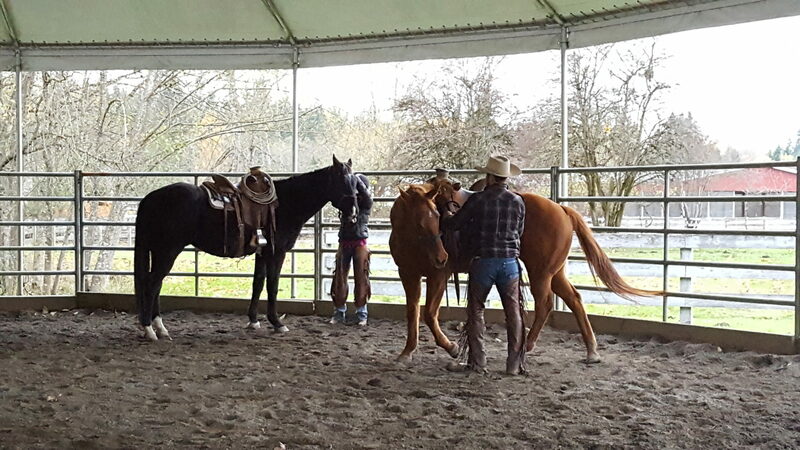 The best work has been when I have another handler able to help work each horse at the same time. Through the groundwork and exercises to connect with the horses and keep their attention, we have been able to successfully work them farther and farther away from one another. 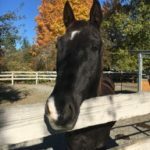 Valencia is a VERY special mare. She has the dreamiest soft eyes that just long for peace and long walks with her person. We are so pleased that her front shoes have made her comfortable and allowed us to start riding her. She is easy to handle, has no bad habits when grooming and it over all suitable for a beginner type handler. She does crib if fencing is not topped with hotwire but if the stall and turnout areas are set up she will not do it. She handles separation from Ru better but if he is calling out for her she will return the calls and get energetic. With the groundwork she can reconnect to her handler and the time between disconnecting is getting longer. 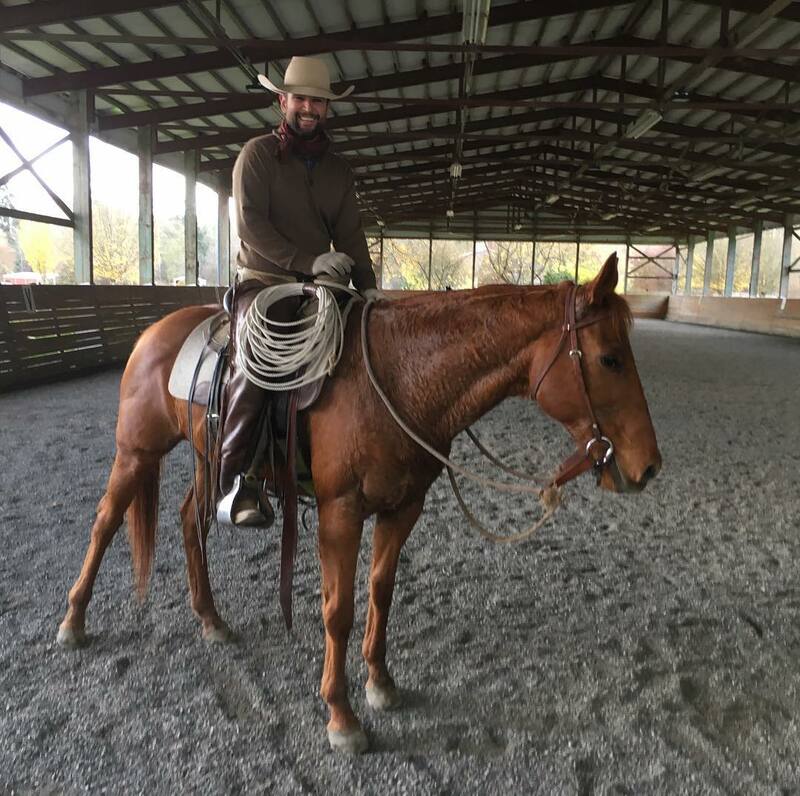 Through no fault of their own, we only able to ride them 8–9 times since Joel’s clinic in November. But recently time and help has allowed them to get into the riding program and we are seeing some great progress in just a short amount of time. 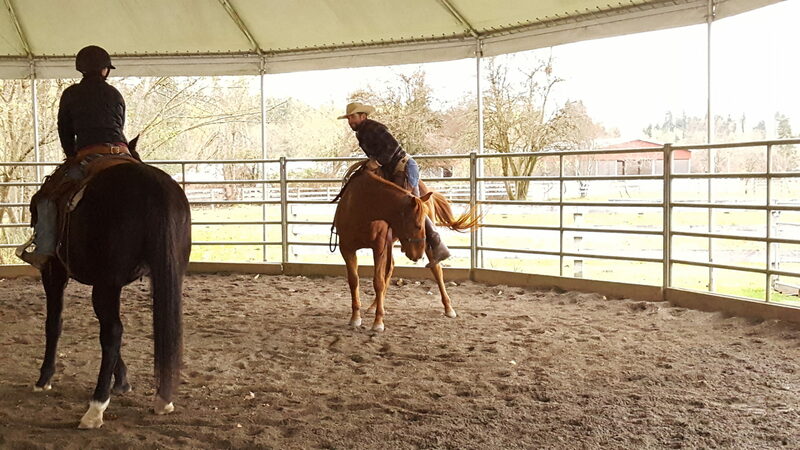 We still start out after saddling with work free in the round pen. 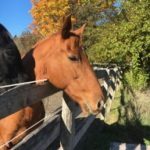 This is mostly for Ru’s enjoyment and helps kick up his OTTB heels and get it out of his system before its time for work. Under saddle they both have been very well behaved. Valencia is more relaxed in her energy, she knows her job and goes out to the edge of the round pen to walk, trot and canter and then turns in to stop and looks at you like “can I come cuddle now”? She is willing and honest in her work and always tries. Valencia and Ru both have been sitting around without work for a long time, so there is a lot of conditioning and muscle building that needs to happen. 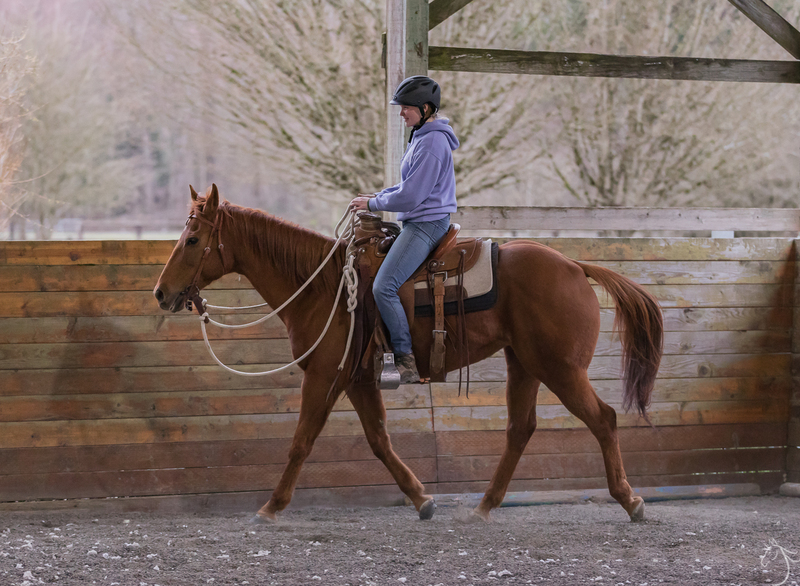 We are adding in walk and trot poles to their workouts and when we can, we will be getting them on some hills to build their hind muscles up. 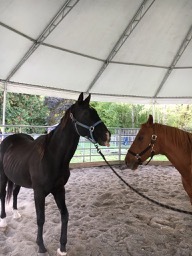 They are working well under saddle at a distance from each other in the arena and yesterday we were able to take them on a little walk around the outdoor arena without any trouble. 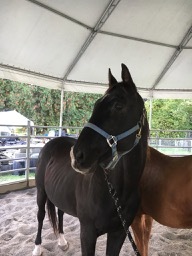 Valencia was eager to get out of the arena and Ru was very well behaved even though you could hear and see a bit of excitement in his eyes and breathing. 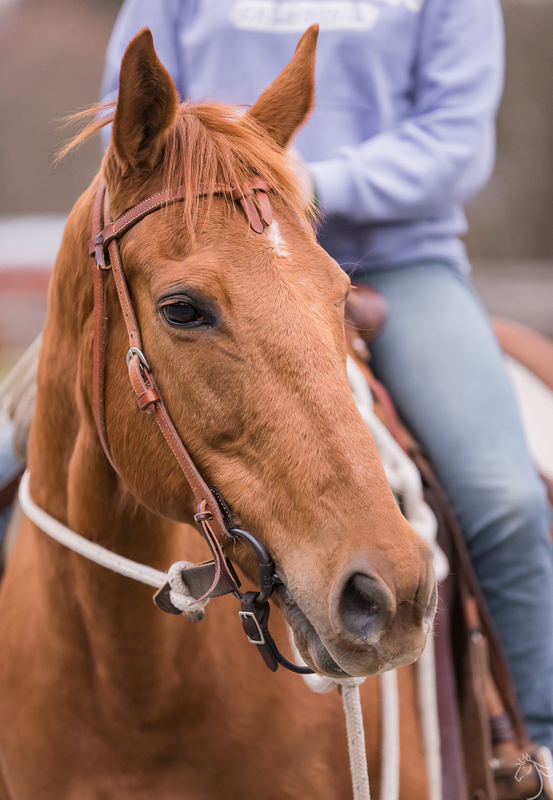 We will work on getting them on a few trail rides as weather and time allows as well. I think with more constancy in the work both of them will be ready to show to adopters in the next few weeks. When Valencia came into SAFE, she was sore on her front left so we had Dr. Fleck come out and evaluate and get some x‐rays. 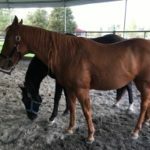 We were very happy to discover that everything looked good and there was no rotation or changes in her navicular bone. Dr. Fleck said she could have a mild case of pedal osteitis which is the inflammation in the pedal bone and that shoes with pads would be very helpful. We also chose to give her an injection of Osphos which will help with any inflammation that maybe in her hooves. Both treatments worked brilliantly and we have been able to start working her without any signs of pain. While Joel Conner was at SAFE a few weeks ago, he helped us put our first rides on her. 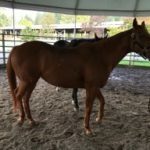 She has had a considerable amount of time off and you never know how they will react to riding when old “demands” might come to light. Luckily everything went very smoothly and she was able to walk trot and lope with little trouble. 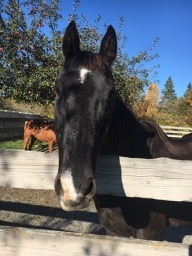 She is a bit “cinchy” but with a bit of time and work on accepting the cinch, that should all but go away. Our biggest hurdle will be to separate her and Ru. As I have mentioned we are doing this gradually. 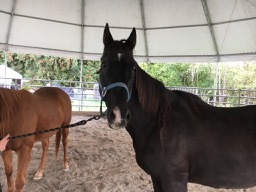 Right now, Casey and I are riding them both in the round pen and helping them feel peace with us and away from each other. 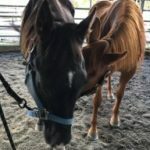 We will continue in here until they are both going quietly in there and away from each other and then we will move them into the arena and continue the work in there. 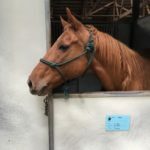 Valencia will need some time still to strengthen into riding condition but we are confident that she will make a pleasant riding companion and a gentle friend. 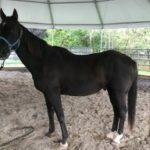 My best guess is that she will be available to show to adopters at the first of the year and we will be happy to begin the process of finding her a great new family. 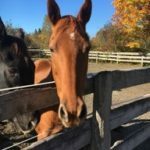 Please email adopt@safehorses.org with any questions regarding Valencia or the adoption process. 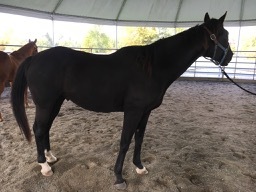 She is a very good mare who is likely to fit many types of riders, including beginners and young adults. 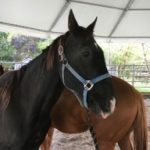 Valencia is a very sweet and loving mare who is still very new at SAFE. 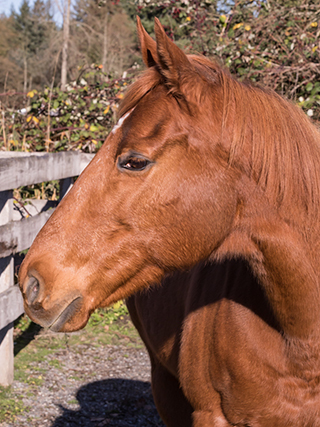 She was a little nervous at first in the clinic environment, and a bit herd‐bound with her pasture‐mate, Ruach. 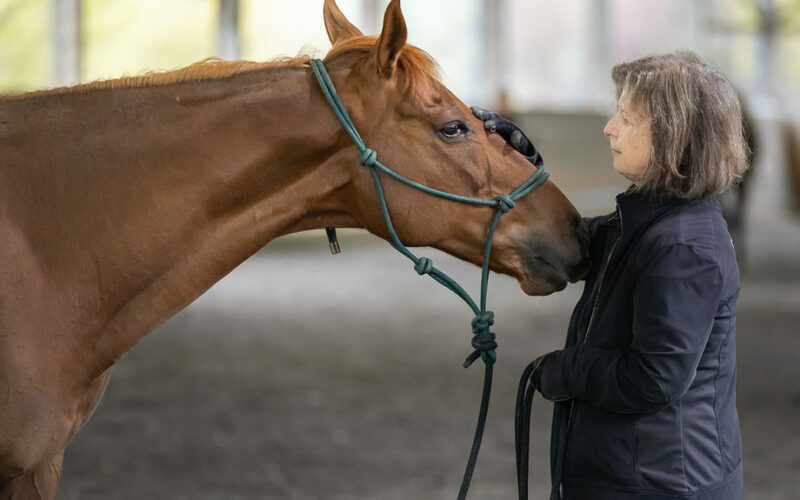 While it is very sweet to see the bond these two horses share with each other, it does pose some issues in handling as separating the two can cause them to become anxious and want to crowd their handler. Joel worked with us off and on throughout the clinic, and both days brought about very quick changes in Valencia’s behavior and demeanor. By the end of the clinic she was crowding me less, and had lost a lot of her initial anxiety. The biggest thing she needs right now is someone to be clear in their expectations. When that leadership sags, she starts to get worried, and craves the support of a herd. However, with as quickly as she was able to overcome this worry, I know that she will easily settle into a new role willing to take on anything asked of her. 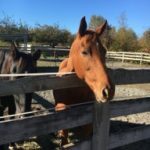 We welcomed two new horses to SAFE this week. 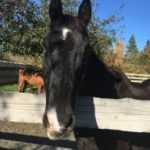 Ru and Valencia are a pair of Thoroughbreds who belonged to an elderly man who was facing severe medical problems and was no longer able to care for them. 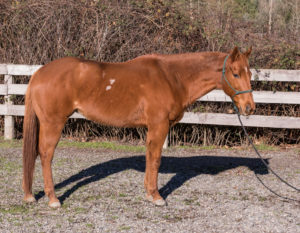 Ru is a 20 year old TB who raced briefly as a 3 year old at Portland Meadows. 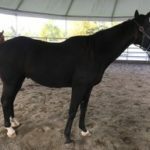 He is a tall, nearly black gelding who is very gentle and friendly. 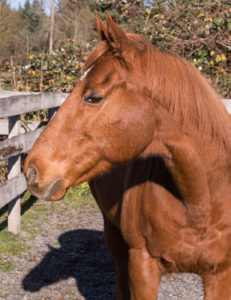 His registered name is Ruach, which is the Hebrew word for “spirit” or “wind.” He appears to be sound, and has a lovely floating trot. 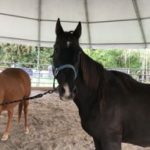 Valencia is a 14 year old mare who is also believed to be a Thoroughbred but never raced. 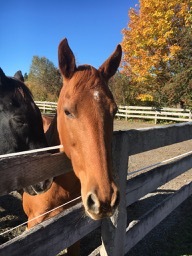 She is a very pretty mare, tall and nicely built. 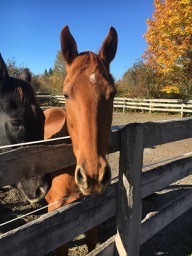 Valencia is currently lame on her front end, but will be seen by our vet and farrier, and hopefully we can get her right again. 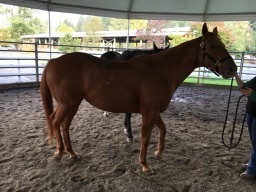 She is reportedly well started under saddle although we don’t know how long it’s been since she’s been ridden. 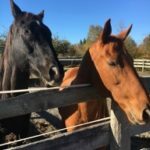 As with all new horses, Ru and Valencia are being held in quarantine until we are sure they are healthy. They are quite bonded to one another, so they are sharing a paddock with a Noble shelter and seem quite happy.